Iceland, the island of fire and ice, has a magical allure for all nature-lovers. This unique ancient countryside guarantees an unforgettable experience, but it also presents special challenges, especially to the hiker. There is no network of huts and trails as we are used to in the Alps, and the weather also can be very unpredictable. 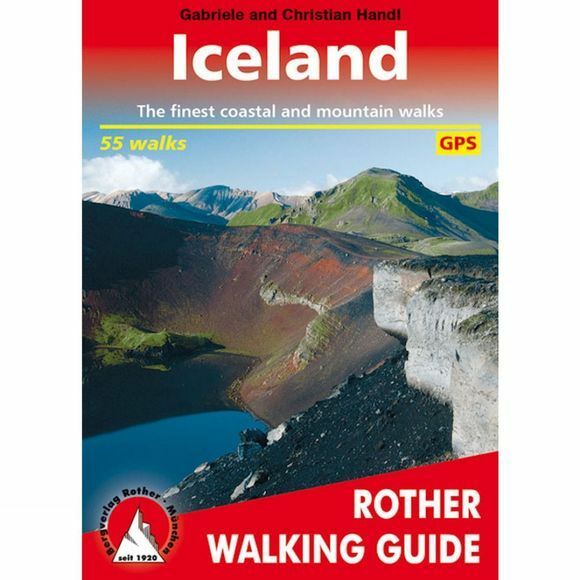 Gabriele and Christian Handl lead the reader along selected, safe and reliably-described trails to those natural splendours of Iceland which are only accessible to hikers. Included are descriptions of short, impressive walks, as well as recommendations for trips lasting single or several days. The 55 suggested walks are accompanied by an exact description of the route, map extracts showing the course of the route and informative height profiles. Numerous tips prepare the hiker for the distinctive features of Europe?s northernmost country. There are numerous colour photos. This fourth edition of the walking guide has been fully revised in 2014 and, in addition, five new walks have been included. Also, all of the walks are now provided with GPS data which can be downloaded.